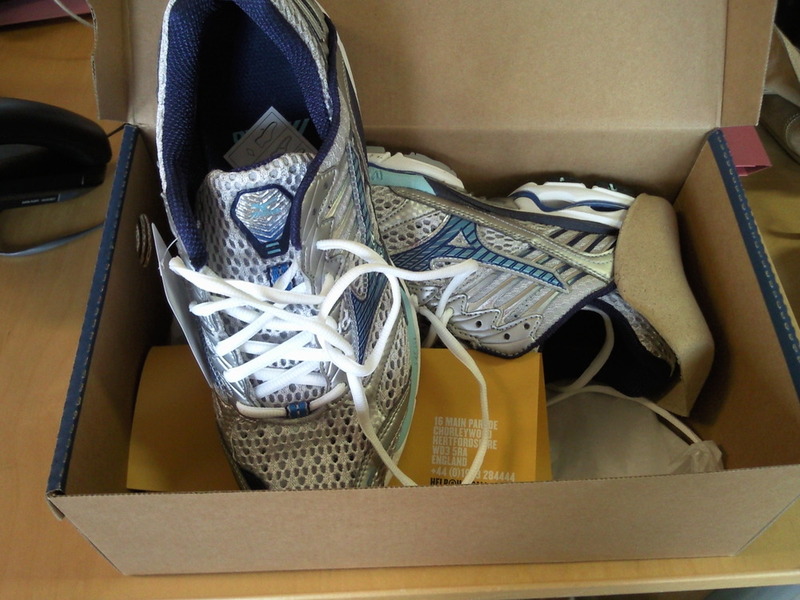 New running shoes arrived at work yesterday. As I've been poncing about in sandals, putting proper shoes on my feet made me realise how wrecked they still are! But I'm adding new bits of compeed to the painful areas, and will be wearing the trainers around the house while I decide whether they're right for me. Aren't they pretty? I love how women's running shoes are the only female-specific bit of sports kit that doesn't only come in pink or purple. Previous post ← Sometimes, shopping in Beeston is awful. Yes, from the little known silver and blue plastic snake. Haven’t dared to take them outdoors yet (just been doing laps of the house).